User activity is recorded for every system user. Every time when someone updates his profile information, upload an avatar or maybe even make a password reset email request, system store that activity into the database and so system administrators can see what their users are doing. User was deleted by administrator. User was banned by administrator. User enabled 2FA for his account. User disabled 2FA for his account. Administrator enabled 2FA for user. Administrator disabled 2FA for user. User requested password reset email. User updated his password via password reset form. User created new system role. User updated permissions for role. User created new system permission. 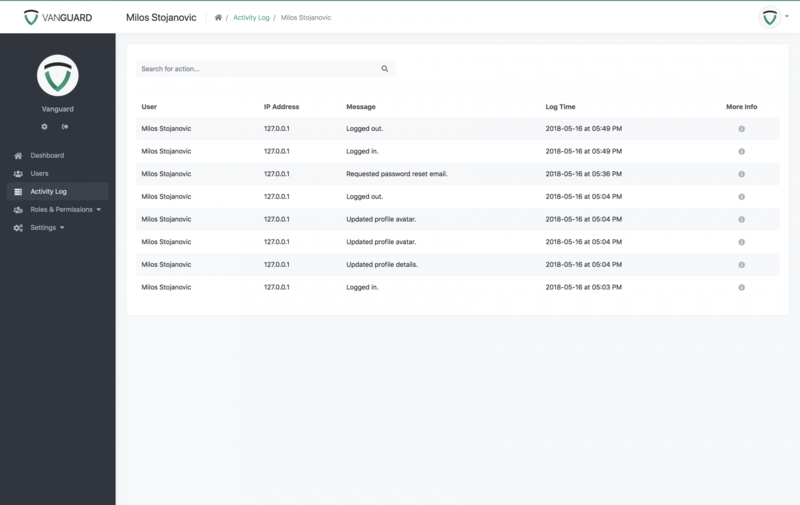 Administrators are able to see activity logs for all system users, as well as search for specific log messages only, as it is displayed on image below. 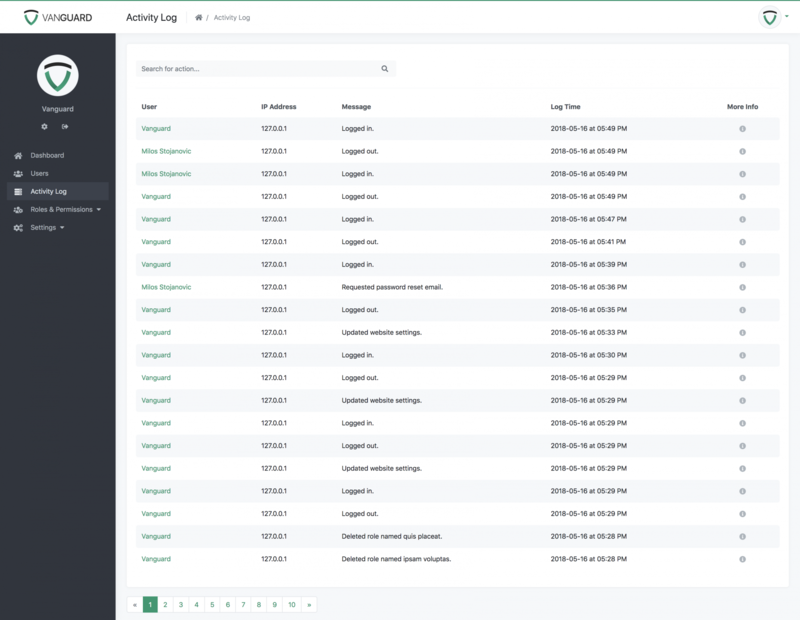 Also, if an administrator is interested in the activity log of the particular user, simply by clicking on user's name he can view the entire log for that specific user. Non-administrator users can see only their own activity log and search through it if they see some suspicious activity.